The Wilson Tour BLX Six Blade racket bag features not only a stylish look but also functionality and comfort. 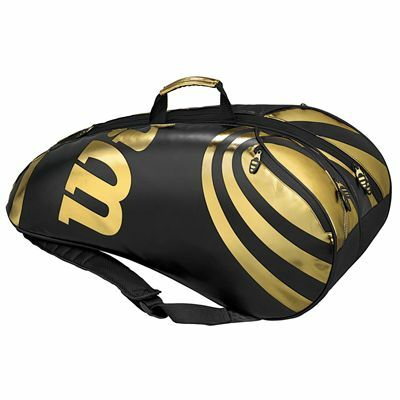 The bag has a capacity of six rackets and features two main compartments with easy access curved openings, two side small accessories pockets and one large side accessories pocket. The bag provides backpack straps with plush padding and lined with air mesh ensuring comfortable transportation. The bag is supplied with a removable bag for clothes or shoes. The bag is 76cm (30”) long, 30cm (12”) wide and 30cm (12") high. for submitting product review about Wilson Tour BLX Six Blade Racket Bag.